We’ve got three weeks until Thanksgiving!! 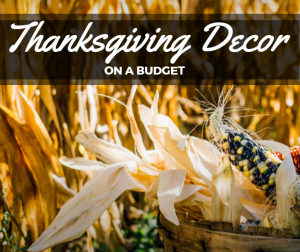 Now is the time to start figuring out ways to save on Thanksgiving Dinner. Starting early will help you save a chunk of money and take some stress away too! Start planning now. Decide what’s on the menu, about how many people you expect and any new traditions you want to add. While it is a few weeks away, this will help you start early in figuring out all the ingredients you need. Don’t just think about food, but also add in any paper goods, and things to get the house ready too! Once the menu is made, it’s time to see if any guests would be up for helping to cook. Most folks love to bring something, so either ask them to make something on your menu or see if they want something you didn’t think of. By breaking up the cooking list you are also decreasing your out-of-pocket expense! If you have family members that don’t like to cook how about asking them to bring the paper goods or drinks.According to advice experts like Dear Abby, It’s considered rude to not ask for help and try to cook it all yourself! Thanksgiving isn’t the day to pull out gourmet recipes. 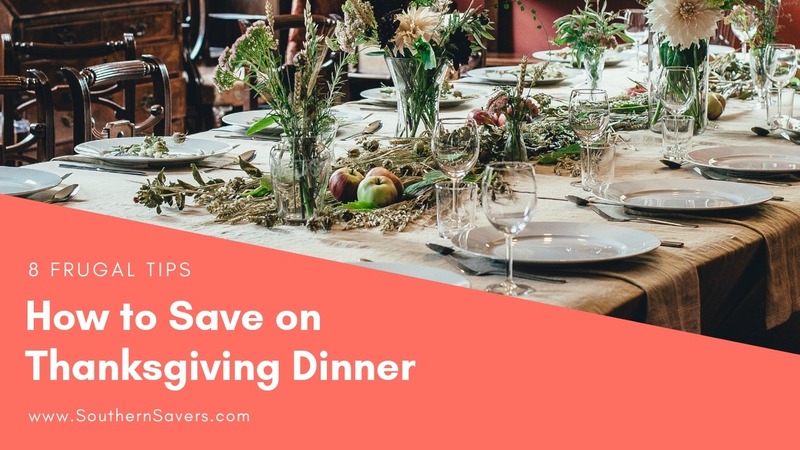 Not only will sticking with the traditional recipes save you money, it will also help you stay in good graces with your family. You may have always wanted to try some fancy version of sweet potatoes, but everyone else around the table just wants sweet potato casserole the way mama always made it. 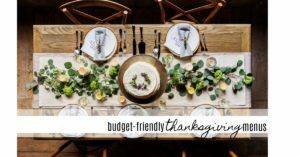 The benefit for your budget… traditional recipes tend to use less ingredients, plus they all call for things you would have on hand rather than buying lots of extra things you’ll never use in another meal again. Many of the main staple ingredients we need are already on sale. Don’t wait to grab them, but go ahead and stock up. Not only do you beat the rush, but it also gives you extra time to remember things you forgot and possibly to start cooking early! We always see the lowest prices on sweet potatoes, turkey, cranberries and other fresh items the week right before Thanksgiving. This week you’ll find sweet potatoes around 89¢ a pound, but waiting until the week of Thanksgiving you’ll get them for around 39¢ a pound saving half! Turkey’s also follow this trend getting extra discounts right before Thanksgiving. This isn’t to help you through the holidays, but it will help you save! Most grocery stores and wine speciality stores offer great discounts when you buy wine in bulk. In grocery stores in the area, you’ll save up to 20% off when you buy 6 bottles at the same time, they don’t even have to be the same! Plus look out for wine rebates, and discounts on mobile apps like Ibotta to save even more. If your family is like mine, everyone has a different favorite dish. If you want to try to make lots of different sides, try making half the amount you normally would. There is enough for everyone to have a taste and it cuts your grocery costs, not to mention cuts down on leftovers too! 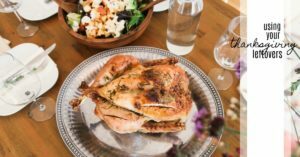 Make your leftover plan now so that you have any needed ingredients to turn the turkey and other sides into new meals.